Your vision is our primary concern. A comprehensive eye exam takes into consideration your total health and how it impacts the health of your eyes. You will not be asked to fill out annoying paperwork about your life history when you arrive at our office. One of our professional technicians will ask you questions regarding your ocular, medical and family history. It is important for us to know the status of your health because many systemic diseases have associated eye problems. Illnesses that may be discovered early on through signs in your eyes include high blood pressure, diabetes, and even heart disease. We feel it is important to review your family history, then monitor and watch for signs of possible inherited diseases or illnesses as another precaution. Our vision correction services are not just about clear vision - they are about healthier vision. That's why we offer a variety of treatment options, including glasses, contact lenses, consultation for refractive surgery, sports vision and low vision. We recommend and follow the standard of care that everyone should have an eye examination on a yearly basis. Our eyes and vision are precious, and yearly exams are the best way to keep them at their optimal health and visual acuity. 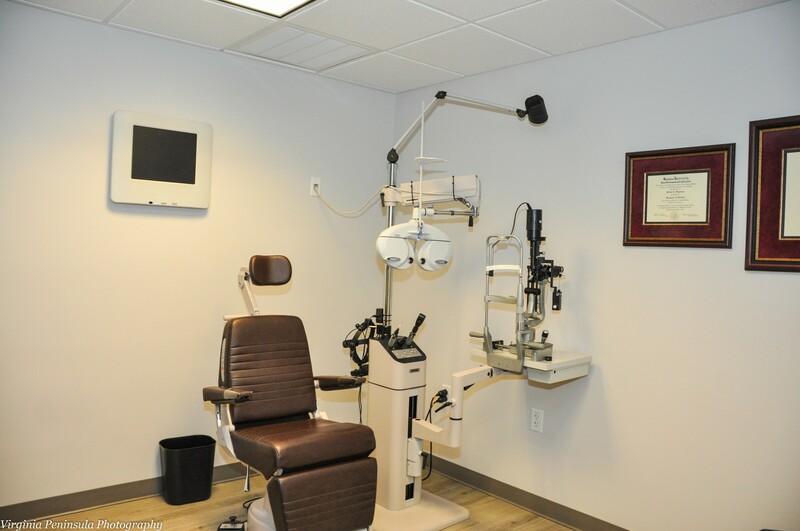 Diagnosis and medical treatment of ocular diseases and injuries are handled daily in our office. We provide emergency eye care and can be reached 24 hours per day, 7 days per week for emergency eye care. If eye surgery or other specialized testing is needed, a prompt referral will be made to the appropriate medical discipline. "Low Vision" is the term that applies to people whose vision is reduced as a result of an eye disease such as Age Related Macular Degeneration, Diabetic Retinopathy, Glaucoma, Stargardt’s Disease, Albinism, and Retinitis Pigmentosa. Vision loss can have a great impact on a person's ability to perform routine activities of daily living. Functional losses may include decreased ability to read or recognize faces, problems with paying bills, writing checks and taking care of personal finances, difficulty with watching television, cooking, and participating in hobbies, or even cause work-related difficulties. Vision loss can have a profound effect on mobility, with the loss of ability to drive, or worse, the loss of safe ambulation. Dr. Segeleon will strive to help visually impaired patients maintain independence by addressing specific visual problems and goals with the help of specialized devices. Specifically, Dr. Segeleon can prescribe a Bioptic telescope, an authorized driving aid that will help to regain driving independence in the state of Virginia. Dr. Segeleon will evaluate the specific cause and type of vision loss and prescribe a variety of low vision devices. 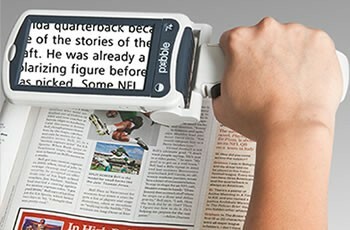 Such specialized devices include high powered reading glasses, illuminated and non-illuminated stand, pocket and handheld magnifiers, prismatic eyeglasses, telescopes, special lighting, tints and filters, non-optical devices, and electronic devices such as Closed Circuit Televisions (CCTVs) and head-mounted displays. Non-optical aids are also important in effecting lighting and glare. Special filters can be worn to enhance contrast, reduce glare, thereby maximizing vision. There are many other useful items for the visually impaired such as, talking clocks, large telephone dials, large checkbooks and TV remote controls, magnifying mirrors or writing aids. 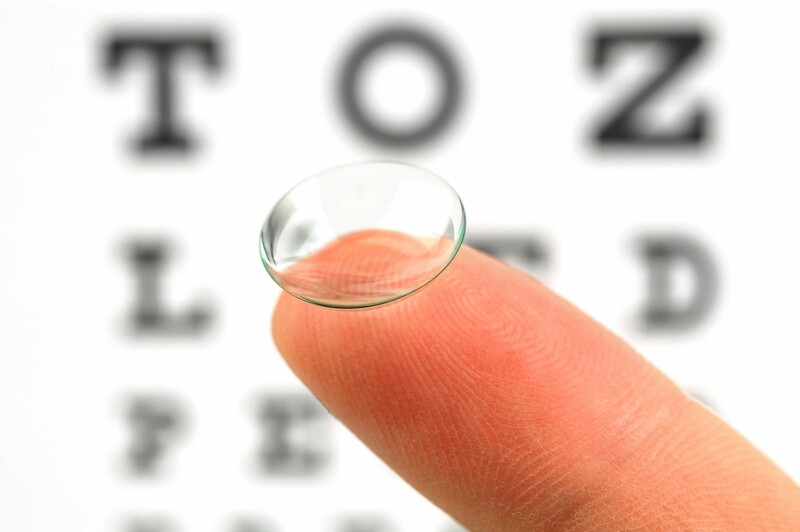 In order to have comfortable contact lenses that provide the best health and vision, your doctor will perform a contact lens fitting in addition to your eye exam. Majority of vision insurances have benefits towards a contact lens fitting and we will be happy to file the claim on your behalf. Your fitting will start with additional testing to determine the shape and size of your eye which will help your doctor determine what brand will provide you the best comfort. You will also be evaluated for dry eyes and any corneal disease that may make wearing contacts more difficult or unhealthy. We fit all brands and types of contact lenses at our office and have no relationships or incentives to use certain products. Your doctor will take the time to explain the daily wear time, replacement schedule, and cleaning process your contact will require in order to provide you happy and healthy eyes. If you are new to wearing contacts one of our staff will sit down with you for one on one training until you feel comfortable enough to practice at home. Including in your fitting fee, you will be provided enough lenses to wear during the trial period and all the cleaning product that was recommended. During your fitting period, there are no additional fees for the very important follow-ups exams with our doctors. Once you are completely happy with your vision and the comfort of the contacts, your doctor will finalize the prescription. At that time you will be able to purchase your supply of contacts with the reassurance of our "Buy Back Program" that will protect you from possible change to your vision throughout the year. Pediatric eye exams are different from adult’s eye exams because the testing is much more objective. 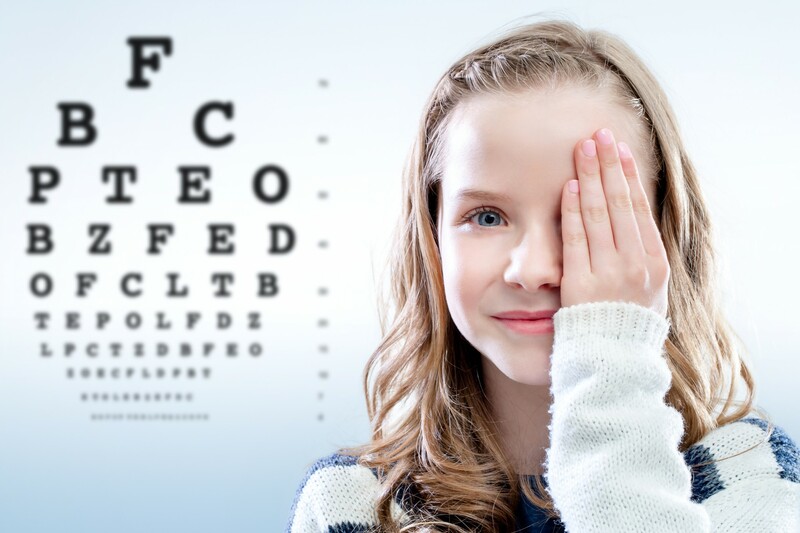 Even if a child can’t speak, a lot of information can still be gathered about the refractive status, eye alignment, depth perception, and overall ocular health. There is also an emphasis on binocularity, or how the eyes work together. This is because children are either in school where efficient visual skills are crucial for learning and achievement or at an age before school where the growth and establishment of vision is essential. An estimated 80% of information taken in is visual, which makes the vision a huge factor for success. 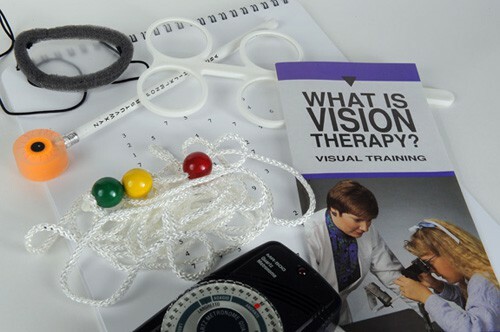 If there are visual skills that are lacking and preventing a child from performing to his or her potential, vision therapy is a service that is offered to work individually with patients to improve these skills needed for learning and life. brain and the visual system. 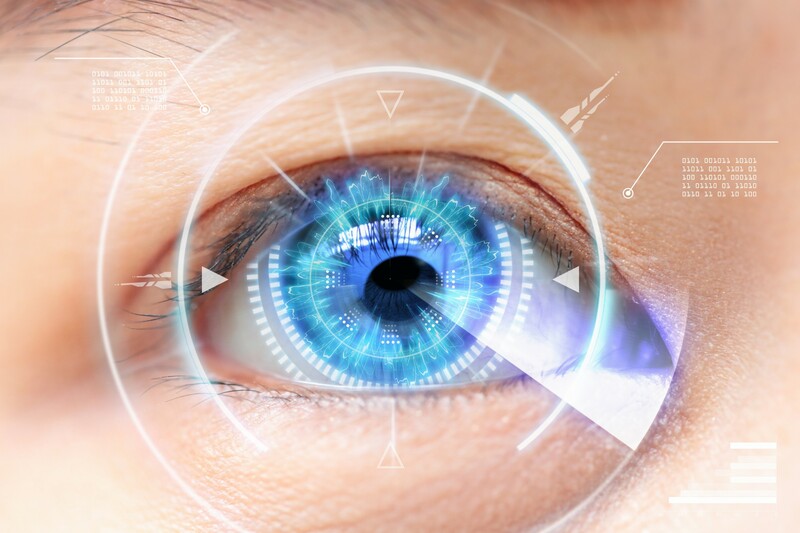 The goal is to create clear, comfortable, single binocular vision for the patient. It is estimated that about 20% of school-aged children have learning-related vision problems. This number increases to about 70% in learning disabled and other special populations. It is very important to understand that good vision is not solely about “seeing 20/20”; other factors like tracking, focusing, and coordination of the eyes play a role. With hard work and commitment, vision therapy gives children and adults the resources and skills to use their eyes in a more efficient manner that will make learning easier for them. After completion of a treatment program, patients emerge with greater confidence and the ability to perform better in school and work.